Congratulations to Shilo Beedy! You've won the Flip UltraHD camcorder! Enter now through January 26, 2010 to win a Flip UltraHD Camcorder ($199 MSRP)! The Flip UltraHD camcorder combines Flip Video's signature shoot-and-share simplicity with the power of vivid, vibrant HD (720p) video. With 120 minutes of record time, you'll never miss another minute again. And because of UltraHD's pocket-sized portability, you'll truly be able to capture HD video anytime, anywhere. This special CES edition includes the DTS logo on the front. Then, post a comment below indicating your interest in entering the giveaway. Please use the same email address you subscribed with when commenting. Maximum of one entry per person. The giveaway will end at 11:59pm on January 26, 2010. I would be interested in winning this camcorder because we currently do not own one. We shoot some short videos with our phone, but the quality isn’t great. I would love to have some nice/sharp videos of our daughter; especially since she’s doing so many new things each day! I’m a subscriber and would like to enter the Flip giveaway. Thanks. These look fun and easy- just like me, LOL. Actually, I’d love to try one out. Thanks for the giveaway… Perfect gift for the budding “auteur” in your family. I really would like to win the flip. would love to win this. would be great for all my kids sports. I would love to win this video camcorder mainly for taking video’s of my kids. I’ve been wanting one since my kids were born and they are growing so quickly. I also love the compact design of these Flip Camcorders. Thanks so much for offering this wonderful prize. ooh this camera sounds great! I have a Flip(non-HD) but I can’t get movies from it onto my PC any more, so that makes it pretty worthless. Hopefully the Flip HD will be my durable! We are expecting our first child in June and would this to capture all the moments. This would be so handy to keep in my purse so that I never miss any special moments. Thanks! It would be great for your family vacation!! Great for my kids sports! I have child with special needs and it would be helpful to record some of his activities and bring to footage to the therapists. I am already a subsciber. I would love to win this. It would be great to take with me on my upcoming trip. I subscribe and would LOVE to win! I subscribed to your newsletter and I would love to win a Flip UltraHD camcorder. I’d love to win this camera to record videos of my family! I’m a subscriber. I’d love to win this. It would be great to carry along and video soccer games. Thanks! I’m interested because I’ve never owned a video cam and I would love to take home movies especially of my son before he is to old. He’s 11 and I really want some movies of him before he’s grown. Thanks. I’m a subscriber. Thank you for the contest. I would be thrilled to win this to record family videos-it looks like such a cool gadget! I am subscriber. I would love to win this!! I HAVE SUBSCRIBED, PLEASE ENTER ME IN THE GIVEAWAY. THANK YOU SO MUCH!! I subscribed - I would love to win this! I’d like to enter. Would love to try and win this camcorder. I subscribe. 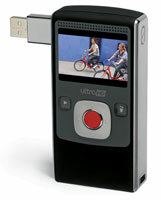 I don’t have a camcorder and i would love to own the Flip UltraHD Camcorder, i would take it everywhere,. I haven’t had a camcorder in ages-they’re about 1/10th the size they used to be! I’m a subscriber and very interested in this giveaway. 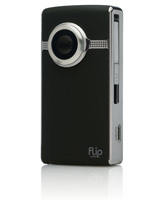 It would be fun to win the flip camcorder! Thanks for the giveaway. I am interested. Wonderful giveaway! Been wanting one of these for awhile. Subbed to your newsletter and updated my profile with relevant info. What a fun new toy this would make! The camcoder looks great I would love to win it. Thank you so much for this generous giveaway - I would be SO thrilled to win! I subscribed to the weekly newsletter. Perfect for my daughters upcoming ballet recital. Thanks for the chance. I’m a subscriber that could use a simple to operate camera. subscribed and would love to win a flip!